Views! Views! 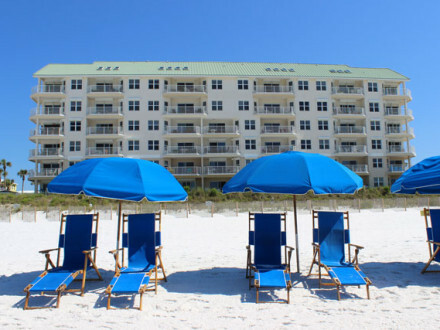 Unit 201 of Grand Caribbean East is a second floor, two bedroom with a hallway bunkroom, and two bath Destin beach condo for rent. 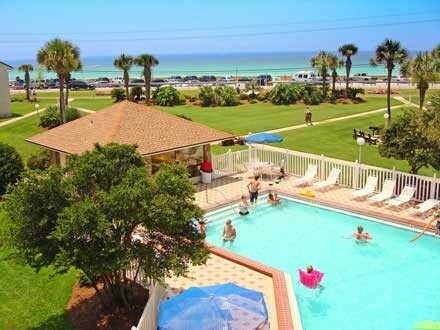 It is located in the heart of all beach activities in the renowned Crystal Beach section of Destin. 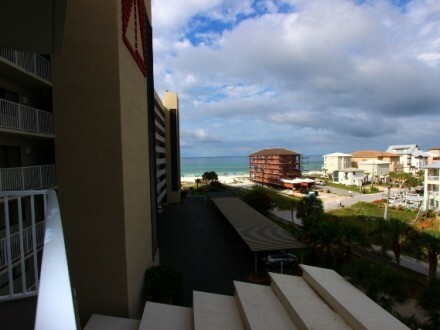 This 1,050 square foot Destin Florida vacation condo rental offer your family or group comfort and privacy for the vacation of your dreams. Please send us your questions about this property! 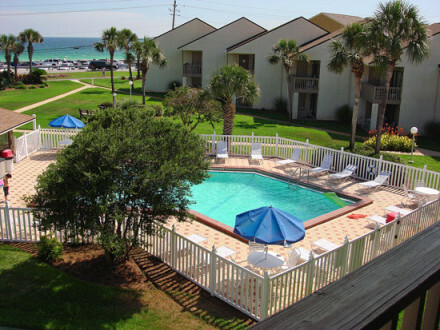 Aqua Ocean View has it all with a private wrap around deck that offers unbelievable views of The Gulf of Mexico, community pool, hot tub, picnic area, charcoal barbecue grill, and quick access by crossing “old 98” to the beaches of Destin. 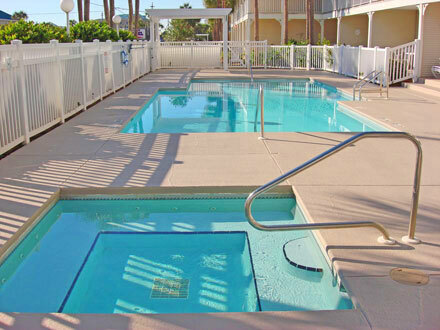 It is located on the second floor with access from the parking lot and the wrap around deck allowing you two entries to the condo from the typical entry and from the front of the unit. This extra amenity is only available on the end units. 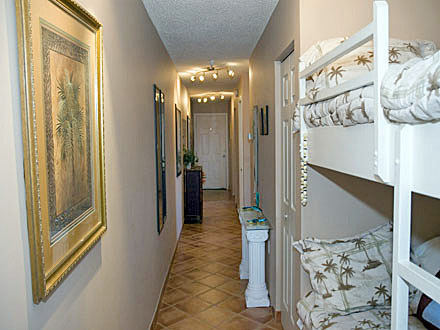 There are two queen bedrooms with full baths, and a hallway bunk area. 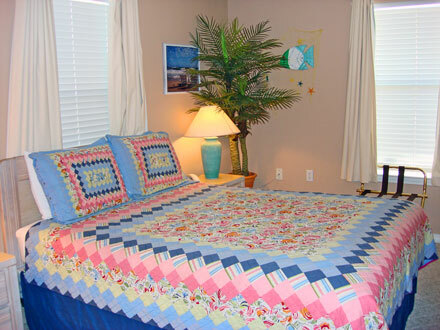 Plus, the queen sleeper living area allows you to accommodate eight people comfortably in this Destin beach condo. 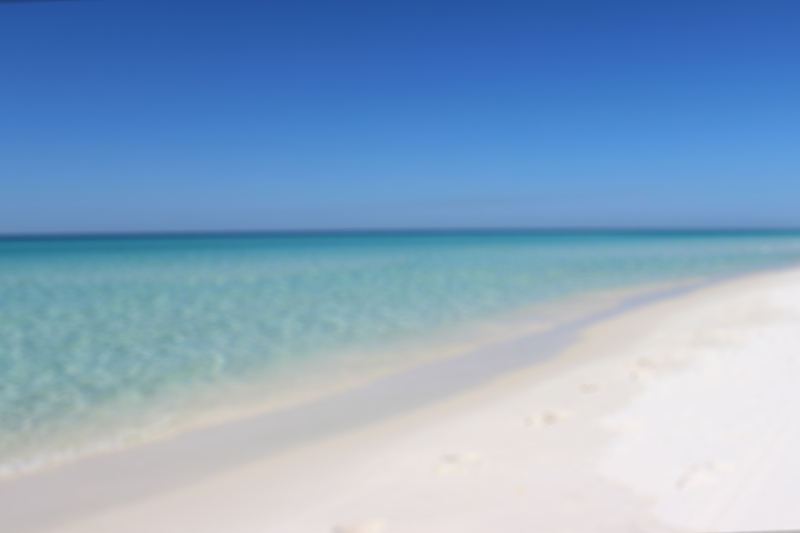 After a full day on our sandy white sugar beaches and the emerald green waters of Destin, you can relax in your own home away from home. 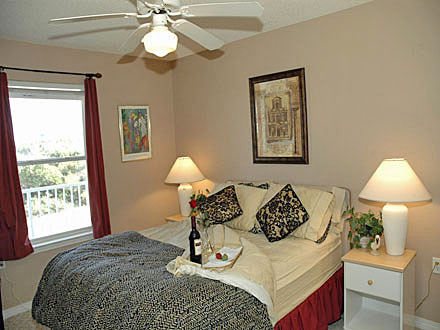 Or you can jump in the car for a short drive to Destin Commons for shopping or entertainment. 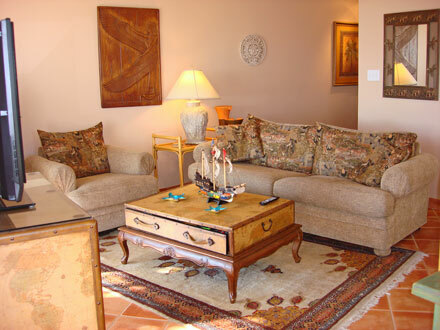 If you cannot find what you want there, head east to one of the top rated outlet malls in American, Silver Sands. 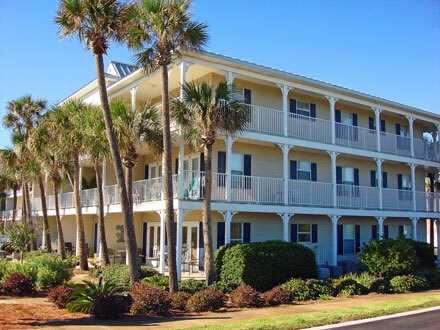 Get away from it all by sitting on the deck with your favorite beverage while listening to the roar feeling the breezes of The Gulf of Mexico. 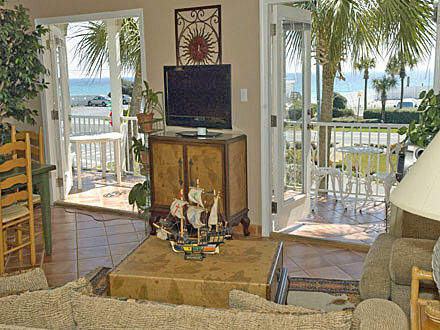 This Crystal Beach vacation condo has it all! Golfing is close by for those who must play when on vacation. Check out the local area golf courses. 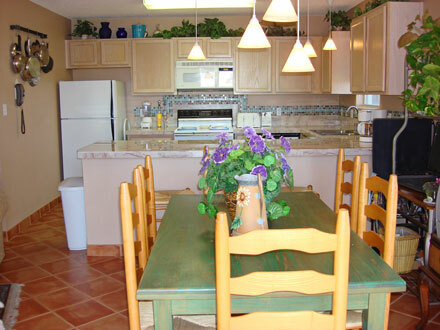 Come stay with us at Grand Caribbean East, and make memories to last a life time!